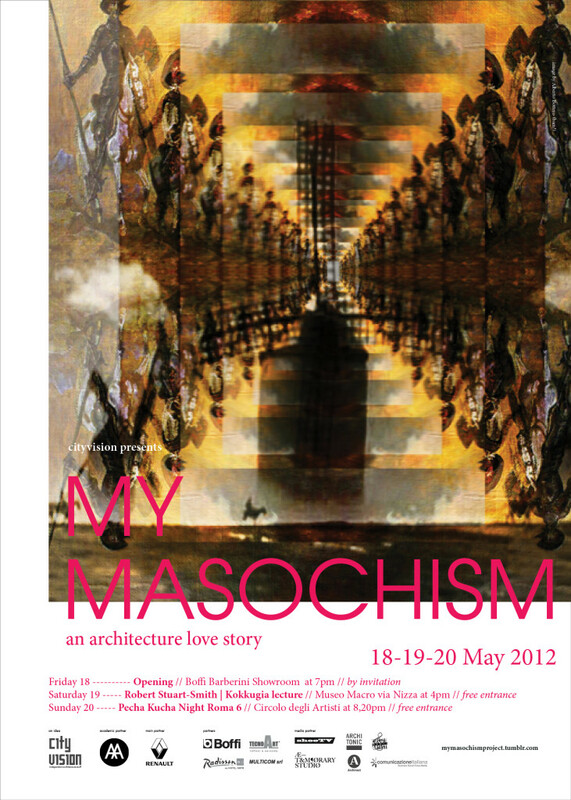 My Masochism is the new title chosen for the new and intriguing event that the creative Roman team of Cityvision will presents next May 19th, 2012 at 4pm at the MACRO – Museum of Contemporary Art in Rome, via Nizza 138. After the experience and the success of I Have Seen The Future and Y1, a new independent architecture event, will features theLondonarchitect Robert Stuart-Smith, design director and founding partner of Kokkugia. “MY MASOCHISM” that calls for a critical and ironical remark on the perverse attitude of being architect/artist/creative. 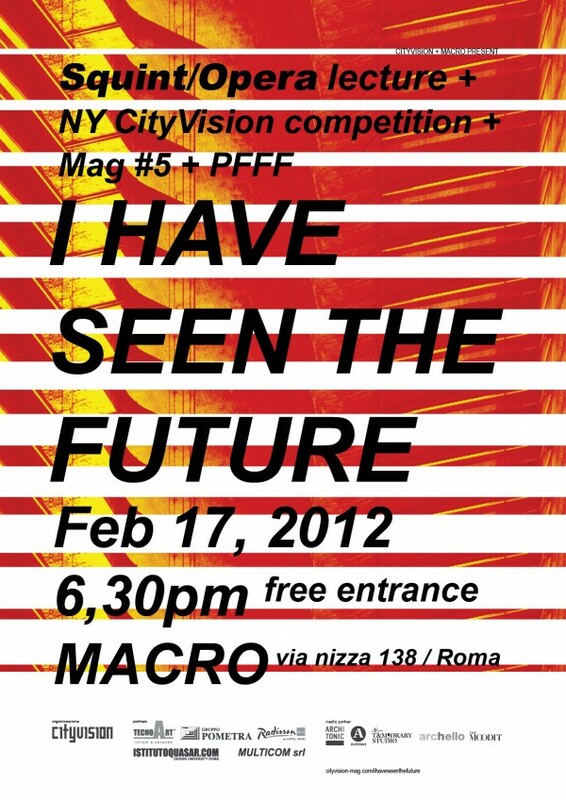 During the event will be also presented and freely distributed CityVision Magazine # 6 with cover artwork by Luigi Presicce, artist in residence at the Macro from February to May 2012. On May 18th at 19.00 at the Boffi-Barberini showroom in Rome a Preview will take part. During the evening, reserved for journalists and professionals, ome prominent personalities from the world of architecture will be answering the question “What is your masochism?”. On May 20th, at 20.20, the cycle of events will end with the Pecha Kucha Night Rome 6 organized by CityVision and Renault at the Circolo degli Artisti where will be presented also the new electric car Twizy. Kokkugia is a progressive architecture and urban design practice exploring generative design methodologies developed from the complex self-organising behavior of biological,social and material systems. It is a networked practice, led by Roland Snooks and Robert Stuart-Smith, with offices in New York and London, operating through design, research and teaching. Robert is a Design Director and a Founding Partner of Kokkugia. He holds a Masters in Architecture + Urbanism from the Architectural Association School of Architecture’s Design Research Laboratory (AA.DRL). He teaches at the AA where he is a Studio Master in the AA.DRL and co-coordinator of Digital Design. He has previously taught atRMITUniversity(Australia), the University of East London (UK), and is an internationally invited lecturer and critic. Kokkugia are currently working on projects in Australia, Mexico and the US.